I am sure I am not the only one that hates the nylon cases that most of these mulit tools come with. 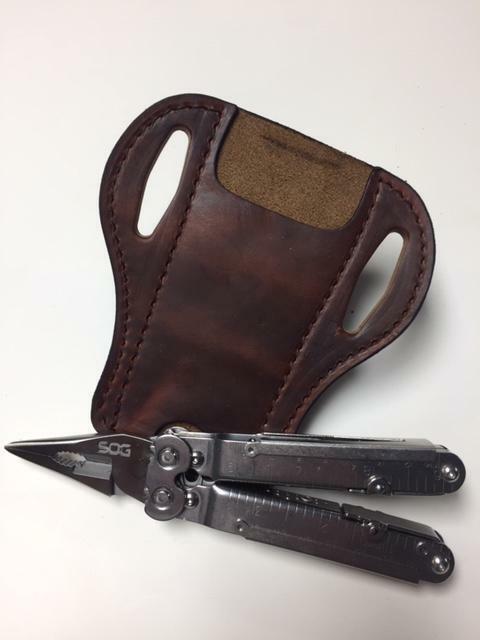 In fact I learned a hard lesson one elk season when I lost a SOG tool by carrying it in one of the cheap Leatherman nylon cases. NEVER AGAIN SAYS ME! 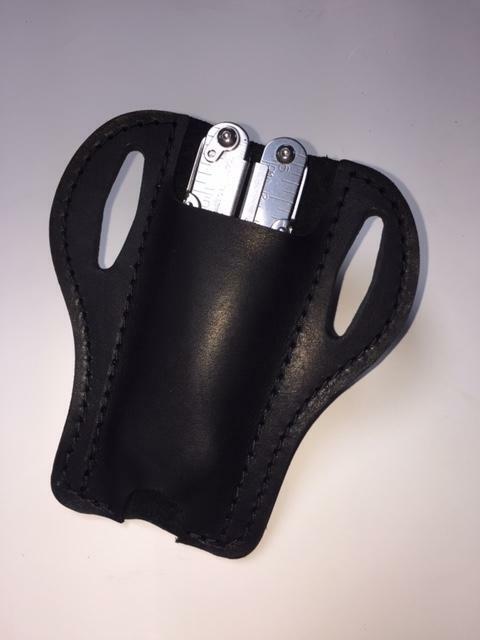 I offer these leather cases in brown or black. The cost is only $15 with a flat rate shipping of just $5! 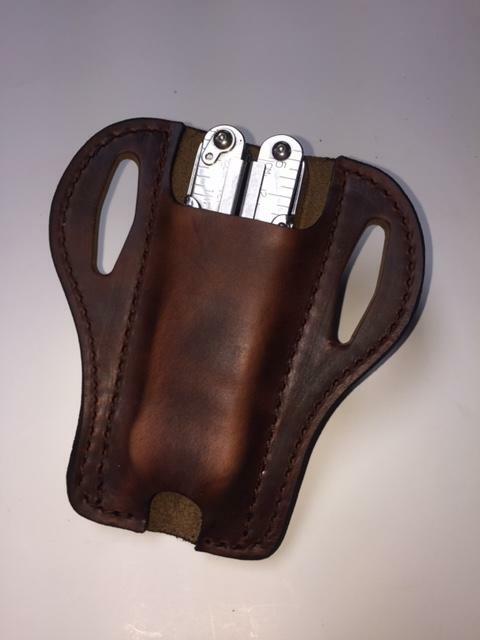 Ensure you don't end up loosing your favorite tool or knife by getting one of these great leather cases. 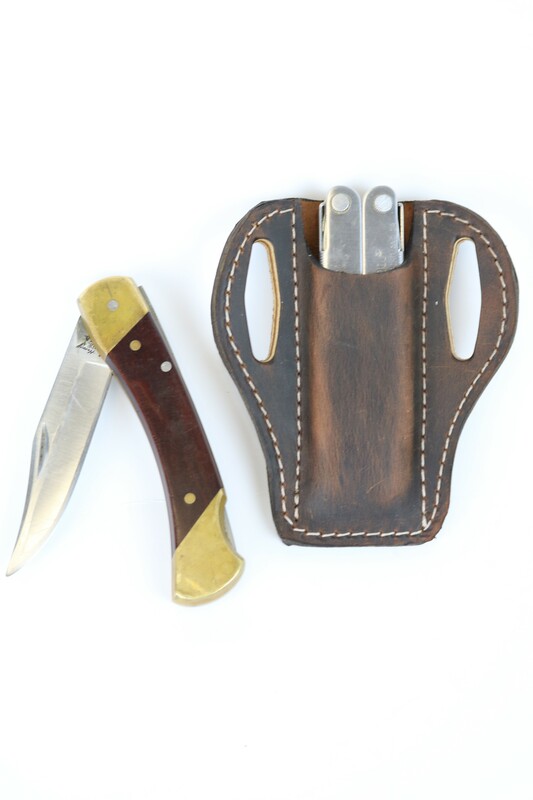 I guarantee you'll never loose your tool or knife while using this case!